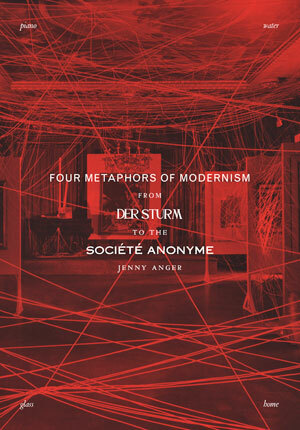 Four Metaphors of Modernism follows artists, who participated in the German organization Der Sturm (the storm) and the American organization Société Anonyme (anonymous society), and who found inspiration in metaphor. Beginning with Herwarth Walden’s Der Sturm (the journal, gallery, performance venue, press, theater, bookstore, and art school in Berlin, 1910-1932), I trace Walden’s aesthetic and intellectual roots to the composer Franz Liszt and the philosopher Friedrich Nietzsche—forbears who led him to embrace a literal and figurative mixing of the arts. Then I follow many artists across the Atlantic to Marcel Duchamp and Katherine Dreier’s Société Anonyme in New York (1920-50), for it is a little-known fact that the founders of the Société Anonyme based their organization’s practices on those of Der Sturm. The book is a chronological excavation of the histories of these intertwined arts organizations and at the same time an exploration of the metaphors central to their creative output. Each chapter considers one of four metaphors—piano, water, glass, and home—as it evolves at Der Sturm and then at the Société Anonyme. Each of the chapters retells the history of the organizations from the perspective of a different metaphor. They can be read in any order, although piano came to prominence first, followed by water, etc. More specifically, we learn in “Piano” that Walden’s earliest piano compositions, written for the poet Else Lasker-Schüler, demonstrate his penchant for an aesthetics of empathy and response. Walden admired the painter Wassily Kandinsky, who himself wrote about artistic communication with the extended metaphor of the piano. Marcel Duchamp and Katherine Dreier used the piano to mediate and problematize relationships. “Water” features Alfred Döblin’s Conversations with Calypso, a foundational aesthetic of Der Sturm, in which music is likened to water. Kandinsky, Gabriele Münter, Kurt Schwitters, Duchamp, and Elsa von Freytag-Loringhoven reveal their joy and ambivalence about autonomy and relationship in their aqueous works in Germany and the United States. “Glass” reveals that Der Sturm published Paul Scheerbart’s groundbreaking treatise Glass Architecture and supported Bruno Taut’s revolutionary Glashaus (glass house). However, neither project subscribed to modernism’s purported ideal of transparency. Rather, the metaphorical possibilities of translucent glass inspired Scheerbart, Taut, Sonia and Robert Delaunay, Paul Klee, and László Moholy-Nagy—the latter two also at the Société Anonyme. 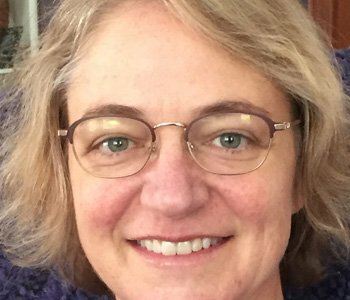 Finally, in “Home” we learn that sociologist Georg Simmel formulated some ideas about gender, art, and home while lecturing for Walden. Adolf Loos’s homes shuffled public and private, and the First German Autumn Salon highlighted Sonia Delaunay’s domestic art in Berlin in 1913. Is it any wonder that the Société Anonyme’s 1926 Brooklyn exhibition included staged “rooms” for art? A “Reprise” finds startling and unexpected resonances in the work of later American modernist Jackson Pollock.